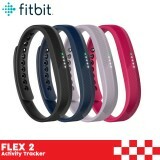 Activity Tracking Tracks your child's daily steps and active minutes. 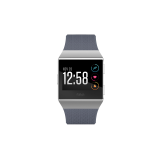 Rewards & Badges Acknowledges goals and milestones with fun celebration messages and badges. 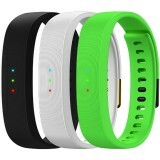 S..
Activity Tracking Tracks your child's daily steps and active minutes. Rewards & Badges Acknowledges goals and milestones with fun celebration messages and badges. 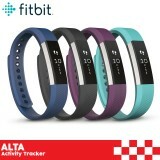 Set Activity Goals With customizable st..
Fitbit Alta Activity Tracker ..
Fitbit Charge 2 Heart Rate+Fitness Wristband A better you starts with heart Track heart rate continuously on your wrist to maximize workouts, better track calorie burn and get a clearer picture of your health—all without an uncomfortable chest strap. 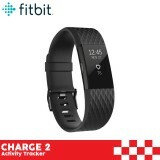 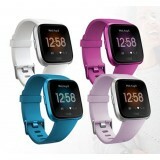 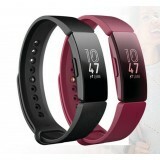 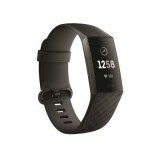 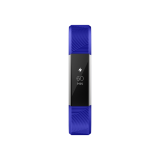 &n..
24/7 Heart Rate Tracking Contactless payments Water Resistant to 50M Fitnewss & Sleep Tracking Smartphone Notifications Up to 7 Days of Battery Life ..
Fitbit Flex 2 Smart Tracker All-Day Activity Tracking Track your steps, distance, calories burned, active minutes, hourly activity and stationary time. 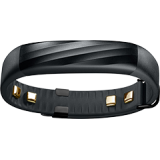 SmartTrack Automatically track activities like running, sports and aerobic workouts, then see exercise.. 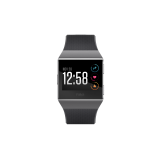 Dynamic Personal Coaching Start dynamic personal coaching on your wrist with on-screen guidance for every move and routines that adapt based on your feedback. 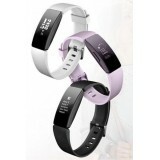 Store & Play Music Store and play 300+ songs on your watch&mda.. 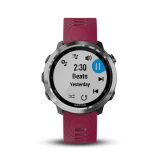 Dynamic Personal Coaching Start dynamic personal coaching on your wrist with on-screen guidance for every move and routines that adapt based on your feedback. 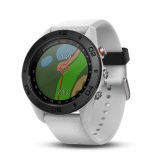 Store & Play Music Store and play 300+ songs on your watch—plus download your favorite Pandora stati..
Garmin Approach S20 GPS Golf Watch Style on the Wrist, Performance on the Course Combines elegant watchband design with high-resolution display and activity tracking¹ AutoShot round analyzer measures and auto-records shot distances Pairs with Garmin Tr.. 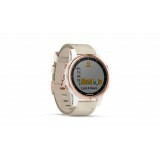 The Golf Watch with Modern Style Sleek GPS golf watch that reflects your passion on and off the course Large, 1.2" sunlight-readable color touchscreen display Quickly gets your location using GPS to show precise yardages to greens, hazards and doglegs, on full-color cours..
Versatile GPS Dive Computer for Your Diving Adventures Premium full-featured GPS dive computer in a sleek watch-style design; with bright 1.2” color display and mapping Built-in sensors include 3-axis compass, gyroscope and barometric altimeter as well as GPS and GLONASS capab..
Bike Computer for Competing, Connecting and Navigating In-ride competitions through Garmin Connect™ segments On-road or off-road navigation and points of interest with preloaded Garmin Cycle Map Input a distance and choose from up to 3 round-trip ride options Insta.. 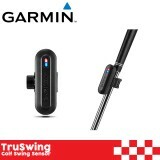 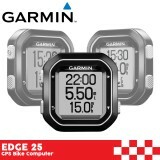 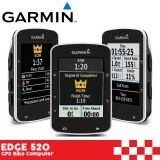 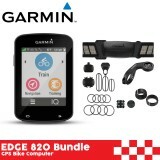 Compact, Easy-to-use GPS Bike Computer With Connected Features Tracks time, distance, speed and heart rate¹ Plan, download and follow new rides Save, plan and share your activities at Garmin Connect™ Water-resistant, durable device Connected..
GPS Bike Computer Helps You Compete and Compare Offers in-ride challenges through Strava live segments Reports cycling-specific VO2 max and recovery time when used with power and heart rate Pairs with compatible ANT+® indoor trainers for data display and contr..
Garmin Edge 820 Bundle GPS Bike Computer GPS Bike Computer for Performance and Racing Lightweight and compact with 2.3-inch high-resolution, capacitive touch display that works with gloves and when wet GroupTrack1 feature keeps tabs on everyone in your ridin..
Multisport GPS Watch With Maps, Music, Metrics and More Premium multisport GPS smartwatch with wrist heart rate technology¹ and color TOPO maps featuring Trendline™ popularity routing to help you find and follow the best paths ..
Multisport GPS Watch for Fitness, Adventure and Style Premium multisport GPS watch with Elevate™ wrist heart rate technology¹ Fit for adventure with rugged design that features stainless steel bezel, buttons and rear case Put key stats at your fingertips with the pe..
Upsize Your Goals, Not Your GPS Watch Smaller-sized multisport GPS smartwatch with wrist heart rate technology¹ and color TOPO maps featuring Trendline™ popularity routing to help you find and follow the best paths Fit for adventure with bold design that fe..
Get More From Your Workout with Less on Your Wrist Premium smaller-sized (42 mm) multisport GPS watch with Elevate™ wrist heart rate technology¹ Preloaded activity profiles for all of your sports and adventures Put key stats at your fingertips with the performance w.. 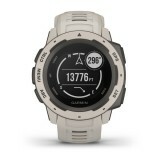 Performance That Puts the X in Excellence Ultimate multisport GPS watch with wrist heart rate technology1 and color TOPO maps featuring Trendline™ popularity routing to help you find and follow the best paths Wrist-based Pulse Ox Acclimation sensor¹ provide..
Multisport GPS Watch with Full-color Map Guidance Ultimate multisport GPS watch with full-color TOPO & OSM mapping, routable cycling maps and other outdoor navigation features Fit for adventure with rugged design that features stainless steel bezel, buttons and rear case B.. 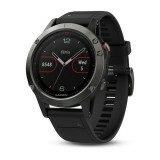 Easy-to-use GPS Running Watch with Wrist-based Heart Rate Monitors heart rate¹ at the wrist, all day and night, using Garmin Elevate™ wrist heart rate technology Built-in GPS tracks how far, how fast and where you run Connected features²: smart notifications, a..
GPS Running Watch with Contactless Payments and Wrist-based Heart Rate Garmin Pay™ contactless payment solution¹ lets you make convenient payments with your watch, so you can leave your cash and cards at home (Coming Soon!) 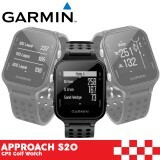 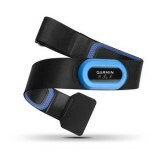 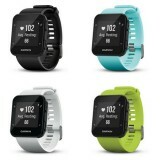 Provides advanced running dynamics², includ.. 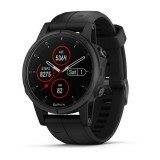 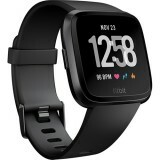 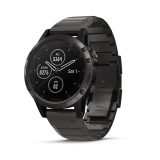 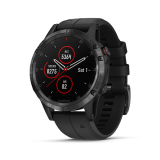 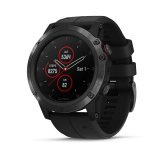 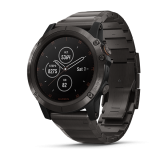 Premium GPS Running/Triathlon Watch with Wrist-based Heart Rate¹ Offers advanced running and multisport features in a comfortable watch you can wear all day, and it only weighs 49 grams Provides elevation changes with a built-in barometer; altimeter and electronic compass help .. 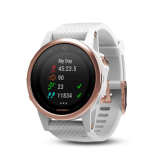 The HRM-Run heart rate monitor provides the most advanced running metrics to high-end Garmin Forerunner® running watches. 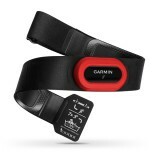 The strap is seamlessly comfortable and easily adjustable while the module is small, lightweight and fits entirely within the width strap. 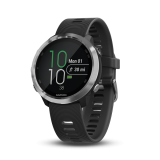 HRM-Run provides 6 runn..
Heart Rate Data in 3 Disciplines Specifically designed for triathletes Our smallest and lightest heart rate monitor (HRM) Comfortable, easily adjustable strap Stores and forwards heart rate data to Forerunner® 920XT Enhance your triathlon e.. 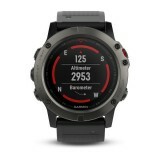 Constructed to U.S. military standard 810G for thermal, shock and water resistance (rated to 100 meters) Built-in 3-axis compass and barometric altimeter plus multiple global navigation satellite systems (GPS, GLONASS and Galileo) support helps track in more challenging environme..
Computes and Transmits Meaningful Data Computes and sends 6 running dynamics metrics to your compatible device¹ Battery life: replaceable battery lasts up to 1 year (assuming 1 hour daily use) Automatically turns itself on and off Tiny size: at less tha..
Garmin TruSwing Golf Club Sensor Train Your Swing with Game-changing Metrics Use TruSwing golf swing sensor metrics to see how your mechanics affect ball flight and shot results Metrics include swing tempo, speed, club-path measurements, critical club angles..
Griffin Charging Station PowerDock 5 PowerDock 5 is our space-saving charging station for countertop or desktop, providing safe charging and storage for up to 5 devices. 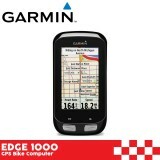 It doesn't take up much room, about the same as a single iPad. 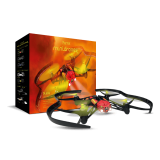 But it gives you a place to store and char..
Parrot Blaze Airborne Night Drone Equipped with two powerful headlights with adjustable intensity, this agile and lightweight drone is energetic, ultra-stable and easy to pilot. 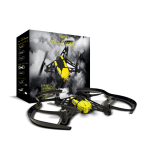 Parrot Airborne Night Drone offers pilots a wide variety of flight experiences, including ..
Parrot Mars Airborne Cargo Drone Sturdy and shock resistant, this unique Drone can be instantly customized. 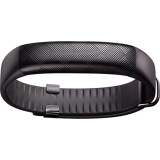 Let your imagination run free! 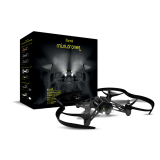 1 Airborne Cargo Drone 1 Battery 2 removable shi..
Parrot Swat Airborne Night Drone Equipped with two powerful headlights with adjustable intensity, this agile and lightweight drone is energetic, ultra-stable and easy to pilot. 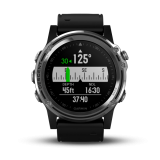 Parrot Airborne Night Drone offers pilots a wide variety of flight experiences..
Parrot Travis Airborne Cargo Drone Sturdy and shock resistant, this unique Drone can be instantly customized. Let your imagination run free! 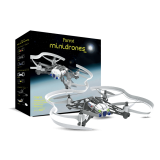 1 Airborne Cargo Drone 1 Battery 2 removable .. 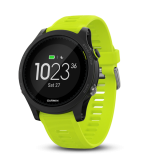 DISCREET, AND COLORFUL NOTIFICATIONS The Razer Nabu X offers a no-screen, no-fuss notification interface, meaning you keep your head up and in the game at all times. 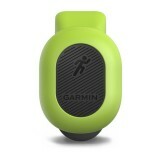 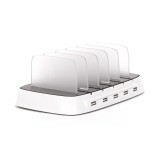 It simply vibrates when you get an incoming alert from your phone, and the LEDs light up in customizable colors. ..